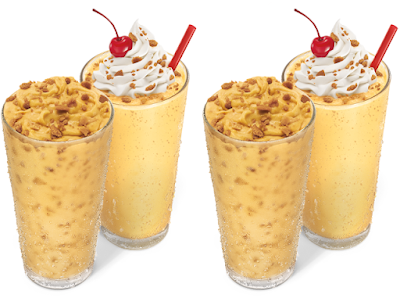 Sonic's entries into this year's fall pumpkin parade are the new Pumpkin Pie Master Shake and Pumpkin Pie Custard Concrete. The Pumpkin Pie Master Shake features ice cream mixed with the flavor of pumpkin pie finished with whipped topping, pieces of pumpkin pie crust, and a maraschino cherry. In previous years, they offered the fairly similar Pumpkin Pie Shake. The Pumpkin Pie Custard Concrete consists of pumpkin pie frozen custard mixed with pieces of pumpkin pie crust. 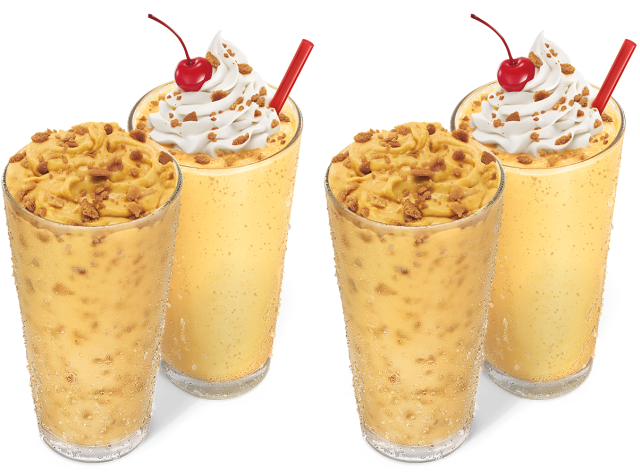 Both frozen desserts can be found at participating Sonic restaurants for a limited time.